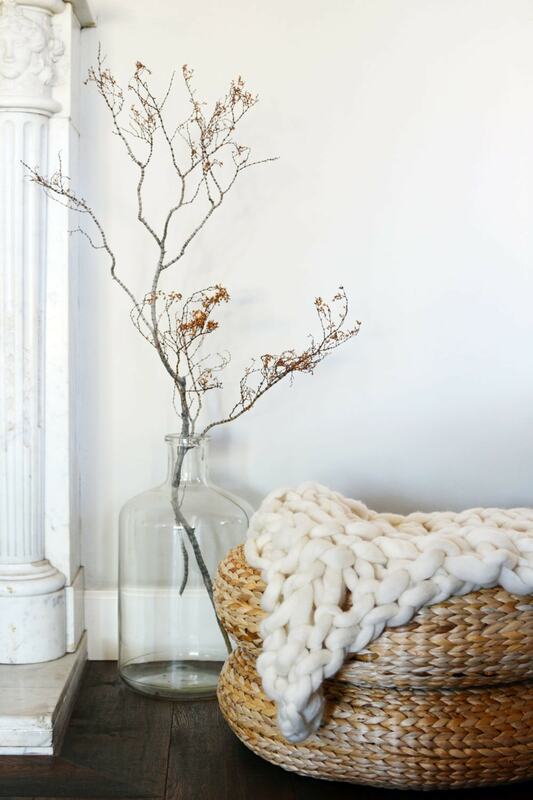 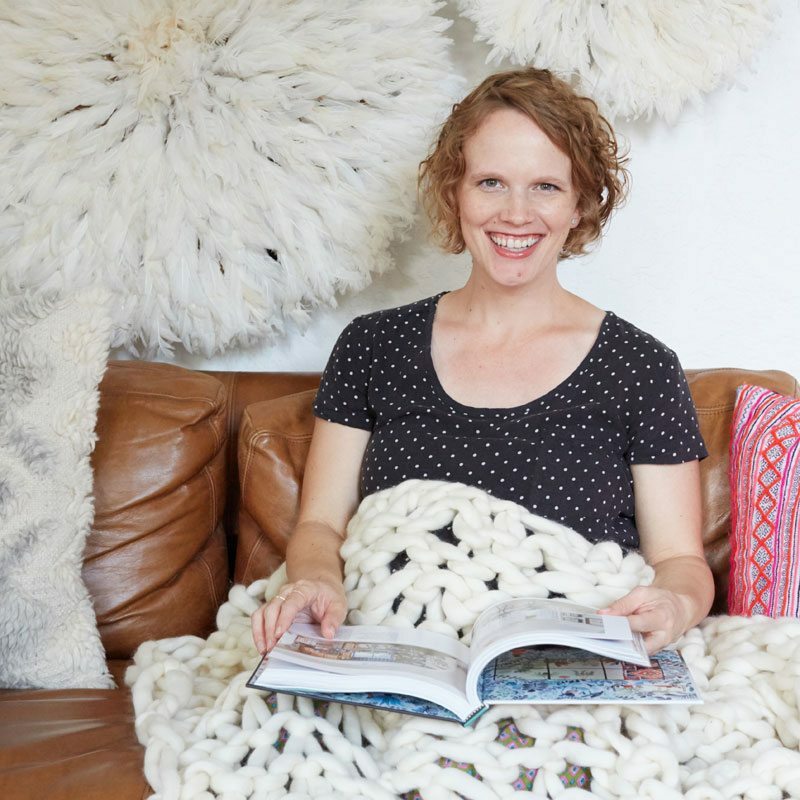 This workshop is led by Elise Blaha Cripe and features a chunky wool arm knitted blanket. 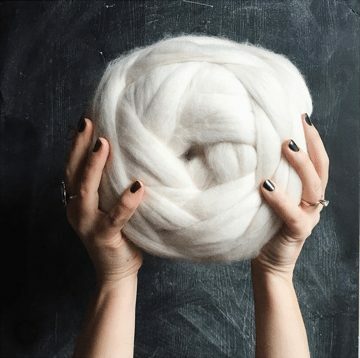 Our yarn was spun in collaboration with a family business that has helped us to produce a unique density of 100% merino wool in an ideal weight and thickness for arm knitting. 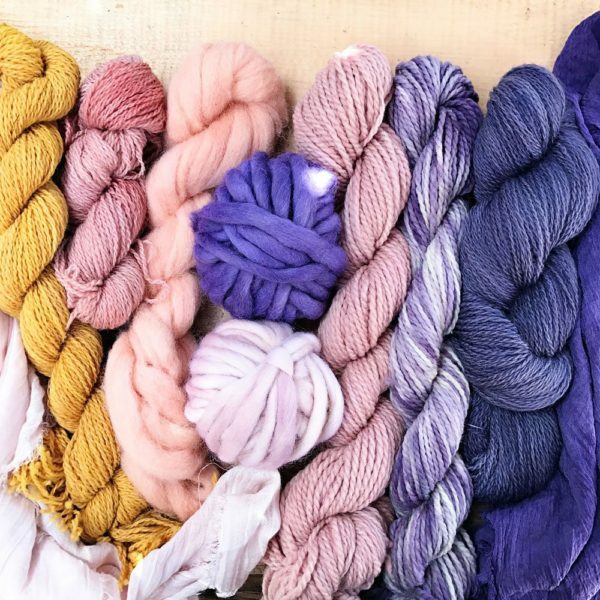 In this workshop, Elise shares more about how to knit with the chunky wool we’ve sourced as well as additional yarns for future making. 1.5 lb skein of amazingly thick, extra soft, 100% merino wool (and all around delicious) spun yarn, this makes roughly a 40×40″ lap blanket. 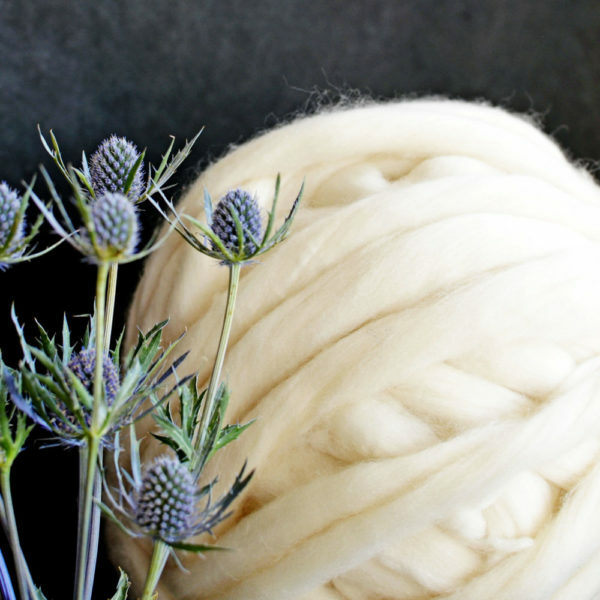 This listing is for a single workshop and is not included in our monthly subscription program. To learn more about our membership community and to gain access to workshops at a discounted price, please visit: Membership. 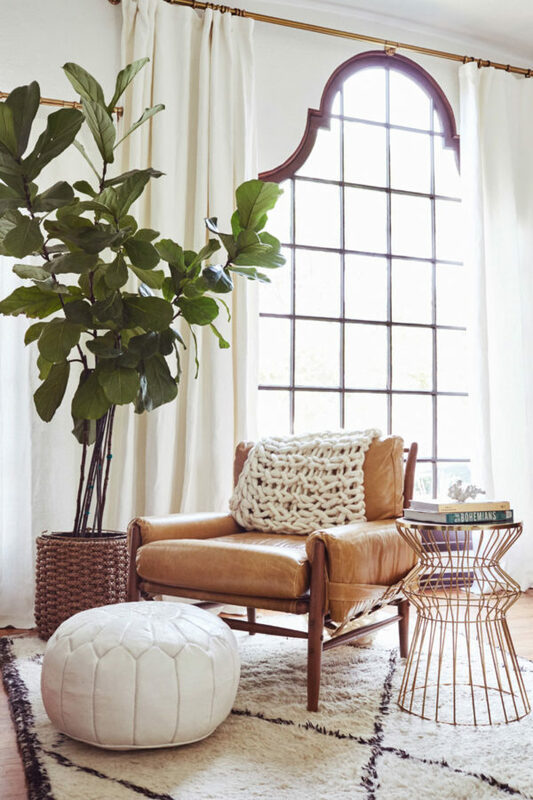 Elise Blaha Cripe is a blogger, crafter and goal setter in San Diego, California. 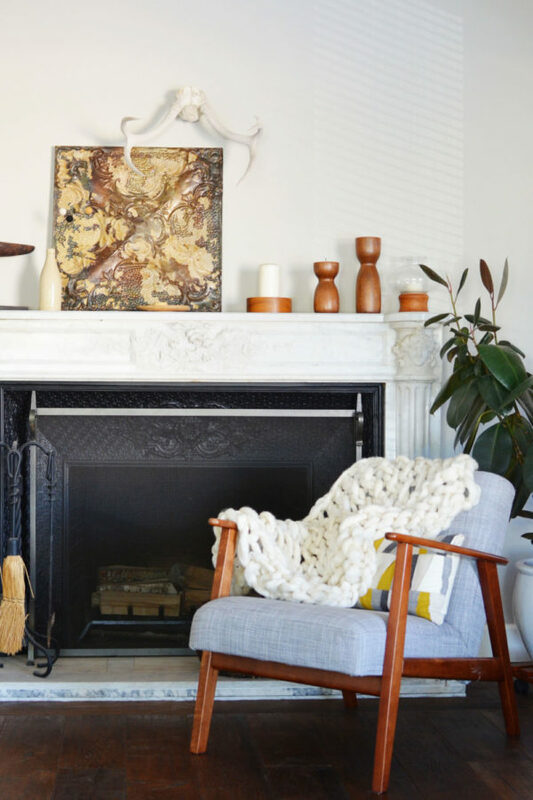 She has been sharing thoughts and DIY projects online since 2005, running an online shop of handmade goods since 2008 and just recently launched GET TO WORK BOOK, a day planner + goal setting journal. 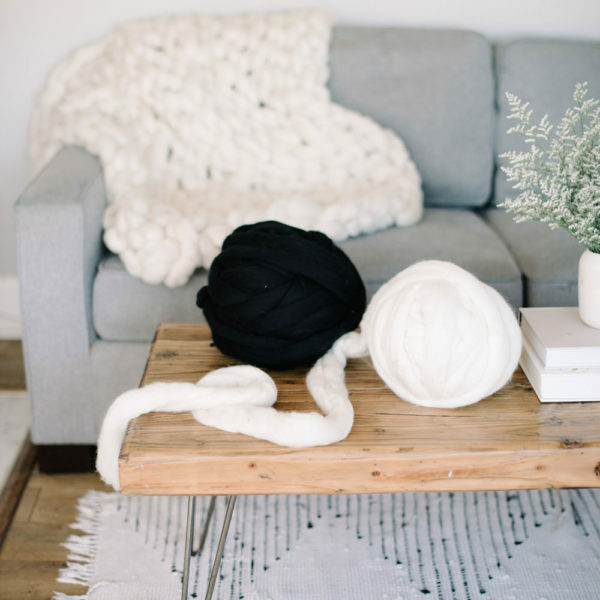 Elise also hosts a weekly podcast, elise gets crafty, that focuses on handmade business, blogging, creativity and inspiration. 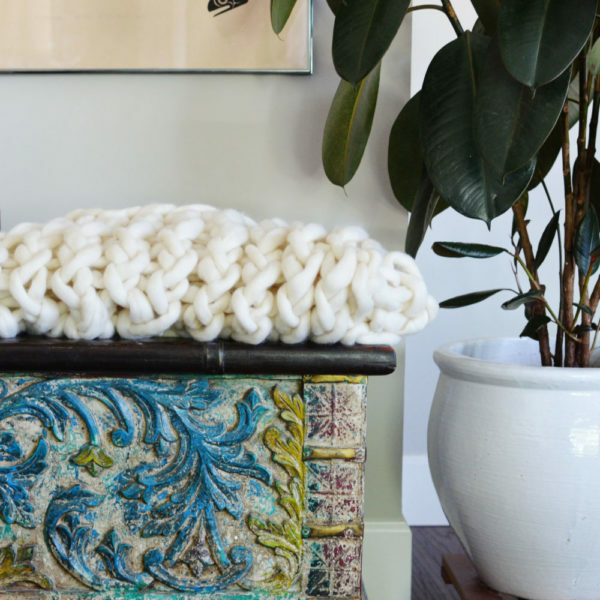 When considering a project to share with The Crafter’s Box, knitting was an obvious choice. 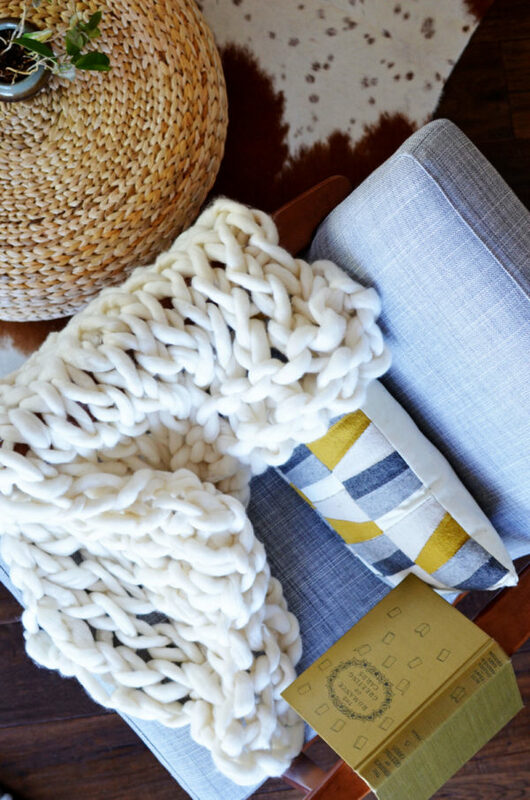 Knitting was one of the first crafts Elise tried when at age nine, her grandmother taught her the basics of over Thanksgiving. 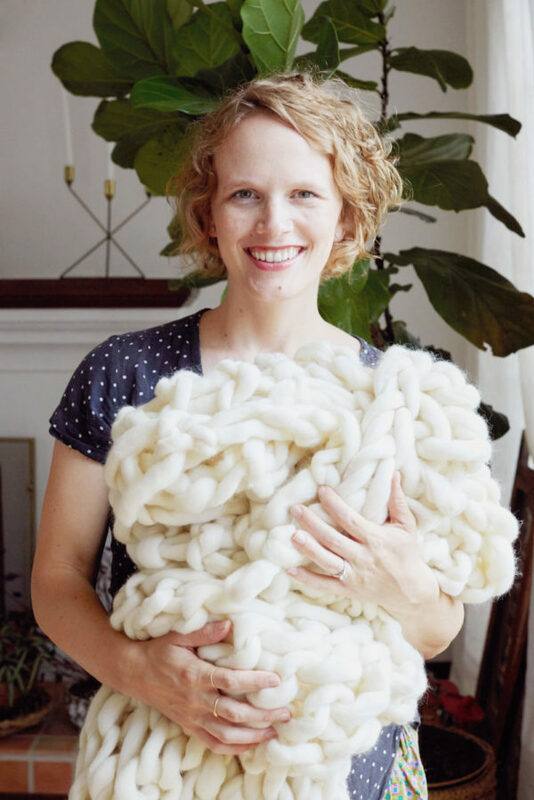 Since then, Elise has fallen in love with knitting again and again over the past two decades and has expanded from scarves to try hats, cowls, cardigans, sweaters and of course, blankets. 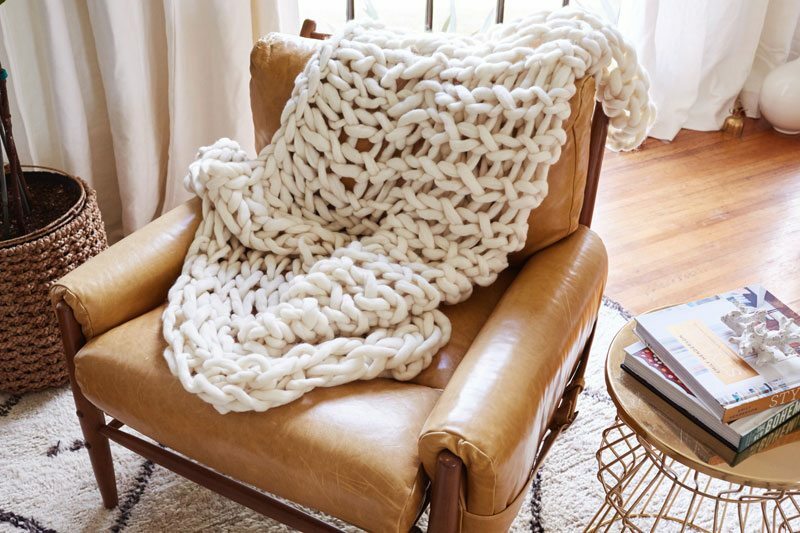 Arm knitting is such a fun technique to try and the large-scale results are so great. 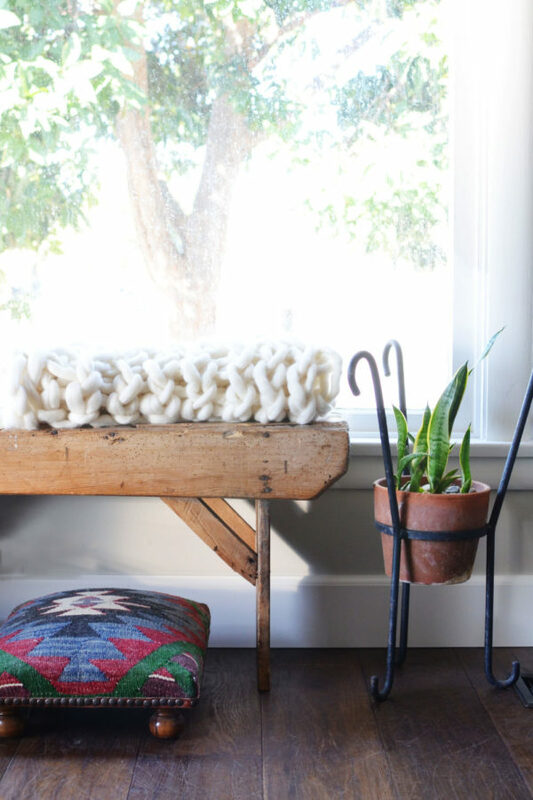 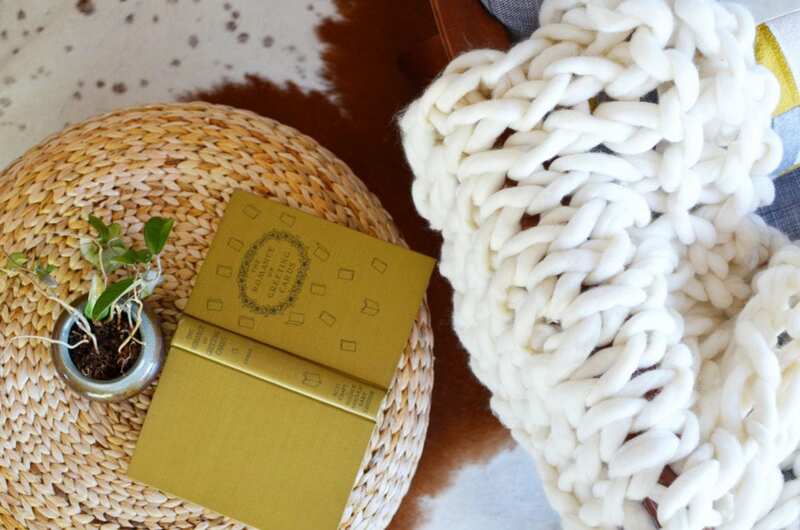 DIY home decor is something Elise loves to experiment with and this project was perfect.